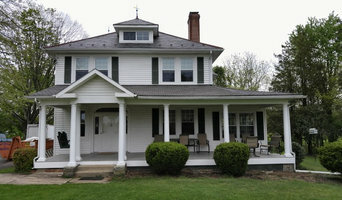 Remodel Max is a full service remodeling and construction company servicing the Baltimore and Harford Country area. 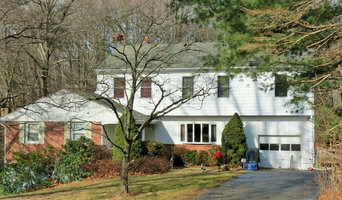 We specialize in kitchen and bathroom remodeling but also do basements, garages, additions, and whole house remodeling. We are a family owned and operated company, priding ourselves on treating our customers like they are part of our family. We have all the experience, knowledge and expertise to walk you step by step through your remodeling experience. At Refined Homes, our focus is you. We believe in pride, luxury quality, integrity and loyalty. The most important component of a home remodel is YOU. While performing a quality remodel is, of course, the focus of any project, the scope of work must also include a “human” factor. How a contractor treats you, your family, and your home is just as important as the quality of their work. At Refined Home we understand the “human” factor and have designed a remodeling process that accommodates our customers individual needs. There is no solution that works for everyone, so we tailor our services to your individual needs. Through our experience, we have learned that the key to a stress free project is open and frequent communication with our clients. At Refined Home we utilize three important resources to keep our projects running smoothly and stress free. Our primary and most important tool is our IOS and Android App. The App, which is powered by Co-Construct, keeps our clients, employees, subcontractors, and anyone else involved in the loop about everything at all times. Please see a short video about out app here: ez-gc.com (EZ General Contracting is our commercial services division) The second resource we utilize is our client evaluation tool. This is a simple questionnaire we give each of our clients to establish a timeline, work schedule, goals and expectation for a project. Although the questions are simple, they give us a tremendous amount of information to better serve you. This is how we tailor our services to your particular needs. We want to know how you want us to treat you, your family, and your home, and we will accommodate these needs as necessary. Our final resource is our site evaluation tool. This is a survey we complete on site which gives us important information about the working conditions and environment particular to your specific project. This survey considers items such as parking, distance from parking to your home, pathway obstacles, exposure to the elements, lighting conditions, and other important work site related information. Although these items may seem trivial, they are essential to a true professional in creating an accurate project schedule and labor estimate. Through the use of these combined resources, Refined Home can quickly and accurately calculate time and labor estimates which encompass the full scope of a project, including what is important to you. *Belgard Authorized Contractor* Allmaster Builders, Inc. has been serving Maryland since 1987. We have performed all types of home improvements including decks, room enclosures, basement remodeling, basement waterproofing, structural repair, room additions and much more. We are privately owned, licensed, bonded and insured. Our, President John Locantore has been in the construction and home improvement industry for more than 40 years. He has spent more than 16 years training and consulting in the basement waterproofing and structural repair industry. John has also testified as an expert witness in both Maryland and Virginia. His honest approach and competitive pricing has accumulated many satisfied customers throughout the years. 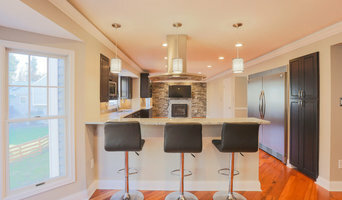 CREATING FINE HOMES Our Goal: We are dedicated to providing top quality remodeling & renovation services while exceeding our clients expectations. Our mission is to provide a level of service on every project, that creates a lasting relationship with our customers. No two people are the same; therefore no two kitchens should be the same. Prince Philosophy: This is the philosophy that drives brothers Mike and Pete Prince to create kitchens, baths, and other spaces that are as unique as the people who live in them. Each kitchen is designed specifically around the homeowner. Utilizing an in-depth proprietary questionnaire, which they have perfected over the years, they learn your cooking style, tastes, and desires along with any special passions such as pasta making. Then they have you design an idea book that reaches far beyond the kitchen. They want to know what truly inspires you. It is these tools that enable them to design a kitchen that is uniquely yours. Prince Process: Mike’s and Pete’s approach is aimed at making the process enjoyable and fun. They personally work with you through each step, helping you to select all of the elements and combine them in a way that speaks to you. Their showroom is filled with the latest in cabinetry, flooring, countertops, and back splashes. They offer a unique line of cabinet pulls which allow you to further customize your kitchen. Think of it as the jewelry that makes the dress. Prince Passion: Starting out as home builders, they quickly realized their passion gravitated towards kitchen design. They felt that the kitchen was where homeowners could truly express themselves. They specialize in remodeling because they enjoy a challenge. One client referred to them as divergent thinkers. They feel their creativity is ignited when they are called upon to create something completely new while staying in the existing envelope of space. As well as expand a project when that is what’s needed to accommodate the customers desired dream space. Prince Family: Prince Kitchens is a family owned and operated, full service kitchen, bath, and cabinetry remodeling company serving South Central PA and Northern MD Since 1987. King Kitchen & Bath, LLC., is a home remodeling company specializing in kitchen and bathroom renovations. Our Mission: It's Your Castle - don't let jesters work on it. KK&B is owned and fully operated by former U.S. Marine, current general contractor and professional home remodeler, Michael J. Hanley Jr. (MHIC:108904). Most work (80% or more) performed personally by Mike Jr. Call or email anytime to set up a free estimate. Our craftsmanship and professionalism exceed industry standards. Live Green Landscape Associates is a full service design-build landscape contractor capable of handling any size project. Our team of designers, experienced project managers and installers will ensure that your project is handled with care and detail from initial concept through completion and long term maintenance. Custom Patios & Outdoor Living Rooms $25,000 to $500,000. Outdoor Cooking Stations, Bars & Kitchens; $10,000 - $100,000. Outdoor Fireplaces $15,000 - $150,000 Fire Pits $2,500 to $25,000. Low Voltage Lighting $5,000 to $25,000 Pergola’s, Timber Frame Structures, Sheds $10,000 to 250,000. Custom Ponds/Water Features $10,000 to $100,000. 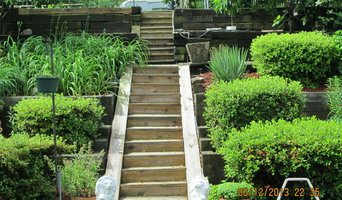 Mature Tree and Shrub Plantings $2,500 to $500,000. Estimates based on experience and past projects. Actual costs may vary depending budget and materials. Live Green is a customer and relationship focused company who puts you, the client, first on our agenda. We strive to not only provide you with a product you will love but to teach and educate as we work with you on your project. We stand behind our motto "Helping people to see what they cannot see" every day with every project we embark upon. Contact us for a consultation today. Baltimore Area Landscape Design-Build Best of Houzz Winner 2015-2017!